We could get technical (get it?). However, there’s no need to. Simply put, you, as a technical writer, will take complex ideas and form them into a more understandable format for even the most novice audience. For example, a company guidebook may have a lot of high-level, difficult verbiage and thoughts. It’s up to the technical writer to take all those points and break them down into digestible pieces. Really, what is "regular" writing anyway? There are so many different types. What’s regular to a fiction writer may not be considered regular to you, a technical writer. There’s one common denominator surrounding different writing forms, and that’s the fact that words are being used to tell some sort of story—the distinction is in their purpose. Technical writing’s sole purpose is to relevantly, clearly, and concisely inform the reader of a subject matter without giving them a massive migraine. And for that, there is a major amount of skill involved. People can be taught to write. There are hosts of classes teaching the fine art of every aspect of writing. It’s mastering it that's the tricky part. Being a technical writer is more than just word wizardry—there are other skills necessary to succeed in the field. Killer curiosity: The idea of learning new things, speaking to thought leaders and subject matter experts (SMEs), and researching topics is all kinds of exciting to you. You love to take things apart and put them back together, but in a metaphorical kind of way. To keep the love of the career alive, you need constant curiosity to drive you forward. Skilled techie: You can have a pen and notepad to jot down notes, but nowadays, it’s all done via the computer. Everything. The whole shebang. Therefore, you need to know the basics of tech. Oh yeah, plus, as a technical writer, you’ll need to either be outstanding at research or know high-level tech stuff to be able to write about it. Organized (kind of): An unorganized desk does not necessarily mean a disorganized mind. However, you need to be organized enough to keep on track. Rad at research: Tech writing is probably 40 percent research, 40 percent self-doubt, 5 percent staring into space, and 15 percent actual writing. So, have we mentioned you'll need to really excel at research? Eloquently imaginative: You’ll need to be able to look at what your writing assignment is and be able to translate it for someone who knows nothing about it—and do it creatively to hold the reader’s interest. Talk the talk: It’s already been mentioned, and it’s a definite given, but it’s worth repeating. To succeed as a technical writer, you must have writing talent. Period. WHERE ARE MY WRITERS AT? Technical writers use their skills in a multitude of settings, from their own kitchens/offices to cubicles within bustling agencies. Anywhere there’s a need for written information, you’ll find a writer clicking away on his or her keyboard. Computer systems, healthcare systems, engineering systems, and all other kinds of systems that need directions. They have to be written in a way that regular ordinary humans can understand. So, as a tech writer, you’ll work in those fields, making their information accessible to mortals. 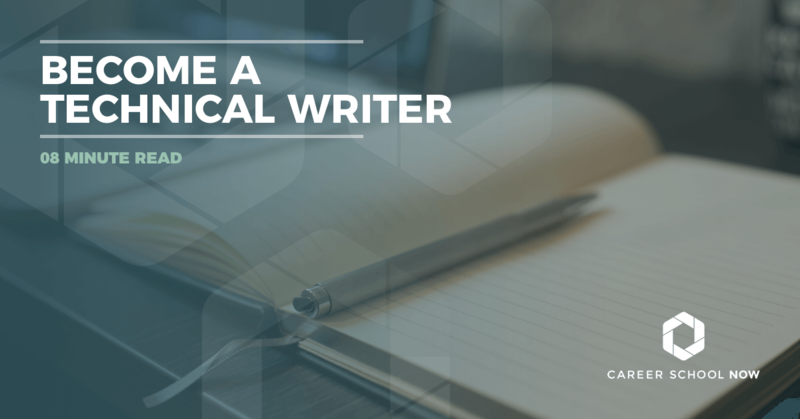 And because industries are continually refining, updating, evolving, and moving forward, there will be a constant need for technical writers, especially those with experience and college degrees. Sometimes all it takes is pure, unadulterated writing talent (and a well-rounded portfolio) to land a technical writing job. However, more often than not, employers are looking for that bachelor’s degree listed on your resume—especially as the competition in the writing job market gets tighter. A bachelor’s degree in English, communications, or journalism is a great place to start. Also, experience in a tech field such as web design, engineering, manufacturing, or engineering sciences will help when looking for a position. If you have actual work experience in one of those related fields, that is even better: It can help your writing be more authentic. Once you’ve gotten your degree, you can choose to get a certificate from one of the many technical writing certificate programs that are offered online. These certificate programs are meant to strengthen your writing skills and expand your knowledge in common areas tech writers work. Some tech writers might disagree with the bachelor’s degree route, as there are a couple of other options for education. Certificate and associate degree options both include similar curriculum. Shorter in duration than a bachelor's degree, they get down and dirty with what you really need to know in the field of technical writing. There are also credential programs, which are voluntary. However, if you don't pursue a degree in the field, at the very least, it's highly recommended you get certified so you can compete in the technical writing world. Many community colleges, universities, and online programs offer certification courses for technical writing. The Society for Technical Writers: Here you can take online webinar courses, as well as get your certification. To be qualified to join the STW, you need a bachelor’s degree or five years tech writing experience. Procedures Professional Association: The PPA offers a writing certification program that requires the completion of this three-day program along with passing an exam. AND YES, THERE ARE PERKS! It’s pretty interesting that the common myth surrounding technical writing is that it’s a super boring job. To completely contradict that conspiracy, technical writing is an extremely popular and emerging field hosting a plethora of perks. Perk #1: It’s a very well-paying career. You can totally support a family on it. Many who have been working as a tech writer for over six years are seeing a six-figure income! Pay goes up with experience. Perk #2: You'll find it low on stress, heavy on the job satisfaction. ‘Nuff said. Perk #3: You make the rules. You can decide whether you want to take on clients as a freelancer or sign a contract as a full-time employee. It’s that kind of career. Keep in mind; freelancers do make more than office employees. Perk #4: Variety is the spice of life. Tech writers frequently have a variety of new gadgets and gizmos they are writing quality information on. Sometimes, you may even get to keep those doodads you’re writing about. It just depends on the company and what the product is. Perk #5: Flexible work environment. Anywhere with an internet connection can be called your work space. IT'S ALL ABOUT THE MONEY, MONEY! Actually, it's not just about the money. Writers write because they have no choice. With that being said, technical writers make an excellent living. Just look at Perk #1: The more experience you have, the bigger the bucks you bring in. The average annual salary of today’s technical writer is around $70K. Emerging tech writers will earn over $41,700 while those who have been in the industry over six years made, on average, $113K. Most work full time, and if there’s a hard deadline, they may work late into the evening. WHAT'S IN STORE FOR THE NEXT FEW YEARS? According to a trusted source, the Bureau of Labor Statistics website, employment for tech writers is expected to grow 11 percent through 2026. The average for all other occupations is between 4-6 percent, so this is good news for tech writers everywhere. If you’re going into technical writing, and you have other skills that align with the industry, then you’ll have a higher chance of employment. Be warned though, there is stiff competition among freelance writers over available opportunities. You know you want to write. Technical writing is a fantastic career choice. You get to do what you love and are paid the big bucks to do it. So go forth, get your degree or certificate, and write on!